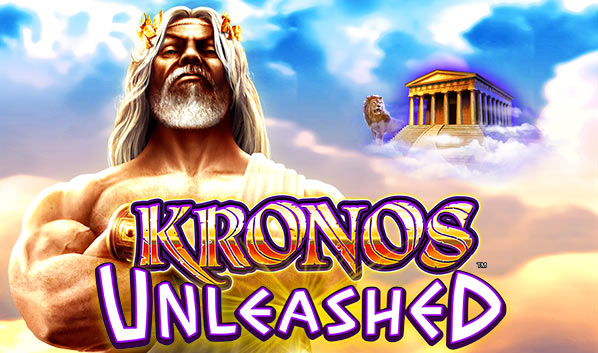 Kronos Unleashed is the latest online slot game release by Williams Interactive. This is the second Kronos slot game online available, after the original Kronos game, which is still very popular. Kronos Unleashed uses 60 lines and comes with stacked wild and normal symbols on all reels. Scatter symbols appear on all reels as well. The Kronos symbol pays from left to right and right to left, just as the original. When a full reel of Kronos symbols appears on reel 1 you will trigger the Kronos Unleashed feature. Reel 1 will be held and all other reels will spin with only Kronos and Power-up symbols. You will be awarded with 3 free spins and will receive 1 extra free spin each time you get one or more Kronos or Power-up symbol during a spin. Each Kronos symbol will be held. Each Power-up symbol will add a bonus. Getting 3 or more scatter symbols will award up to 75 free spins. During free spins the Kronos Unleashed feature appears more often. Play Kronos Unleashed now at Casumo, Videoslots or Mega Casino. I also added a YouTube video below for some impressions of this very cool slot game.